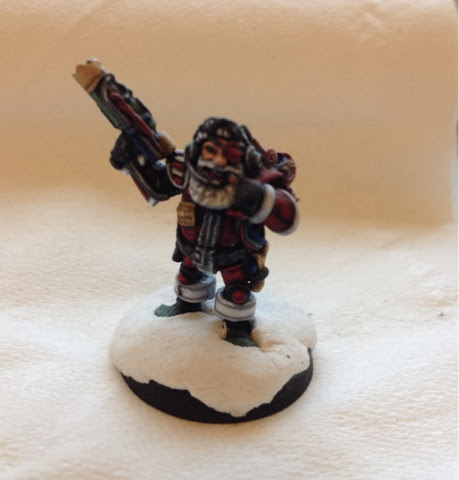 Despite having some other rogue trader figures half started I got distracted and painted up this Arbite character. I converted him some time in the last year but he's sat neglected on a shelf along with other figs since. It seems that this is fast becoming my favourite method of painting. Basically the figures and paint are in a back room behind the kitchen and whenever I wander back that way I'll do a couple of coats of colour or a highlight and the wander away again. It works for me anyway! And back toilet has such good lighting! Hope you have a cracking new year! I'll be back in a couple of days and I'll discuss my plans (which I will obviously ignore) for the new year and hopefully show off what I bought for myself over Christmas. Get to bed! Or I'll shoot! Merry Christmas to all my mini mad mates! Hope the big man brings you more marvelous metal! Hobgoblins are one of those races in Warhammer universe that seem have never gotten their fair share of love. Gw seem to have underdeveloped lots of parts of the fantasy world they created, in favour of redoing the same limited races over and over again. Estalia, Tilea, Albion, Norsca, Kislev, Araby, Nippon to name but a few of the Human realms that have not received that same kind of love as The Empire or Bretonnia. Some of the races that appeared in third have slowly been ignored and some have even gone the way of the squat. 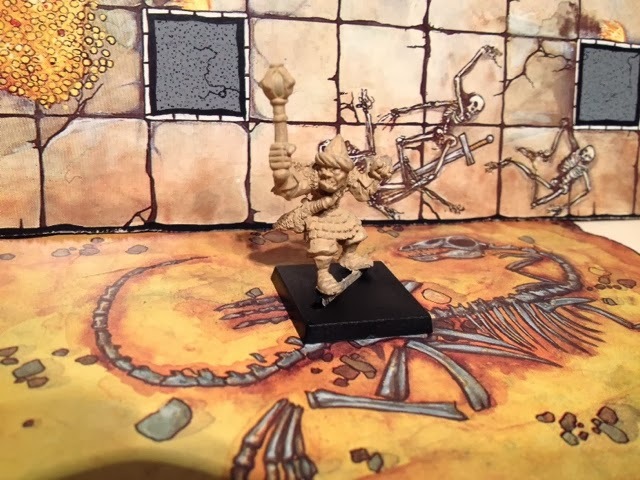 Slann, Pygmies, Gnomes, Chaos Dwarves, Fimir, Zoats, Half Orcs etc have been sacrificed in order to limit the number of races and concentrate on armies and figures that sell. Fair enough. Gw is a company after all and is meant to make money but it removes a part of the soul of the game and is perhaps part of the reason why us oldhammerers spend so much time hunting for obscure mini's and building random regiments of figures that a modern day gamer (the sort of kids who attend the club I run) may not even recognise as a Warhammer race. 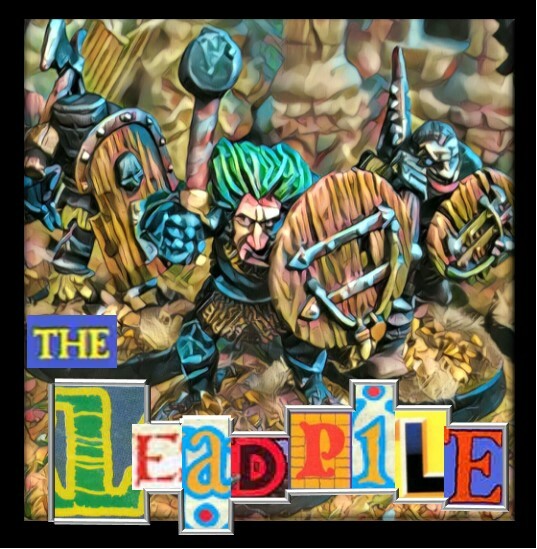 The loss of these races and the variety that they brought to the battlefield may have been one of the factors that brought the Oldhammer phenomena into being in the first place. For me it was the other way round. I was trying to interest my gaming mates in small scale oldschool skirmish wargaming but as they were all a bit younger than me (my old school mates being in Scotland and Nottingham) and I wasn't having much success. 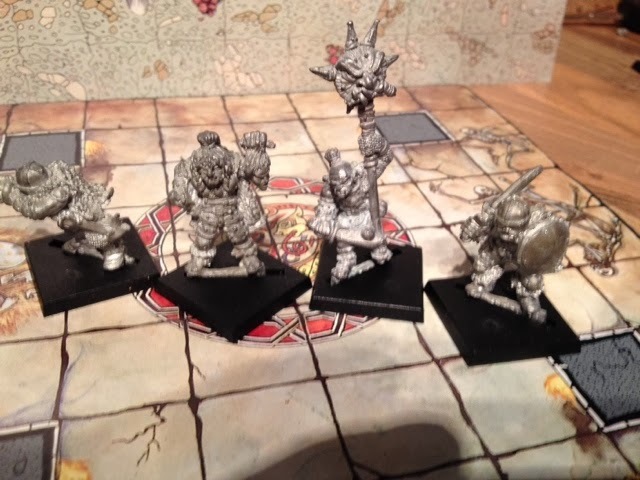 One of my old mates was down and I'd found a PDF of Slaves to darkness and we decided to roll up warbands for shits and giggles. 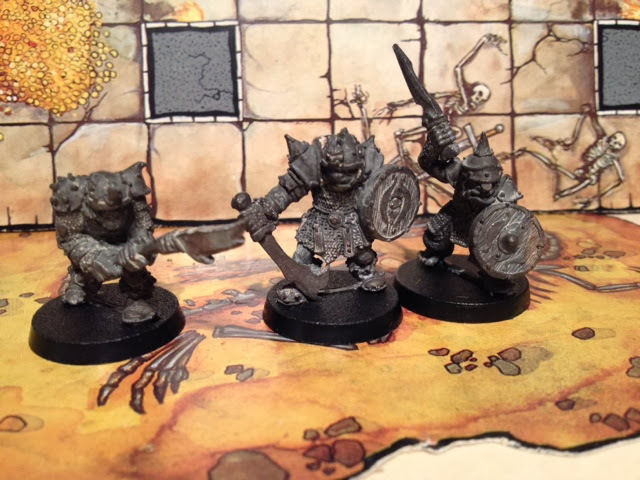 My warband got some hobgoblins. 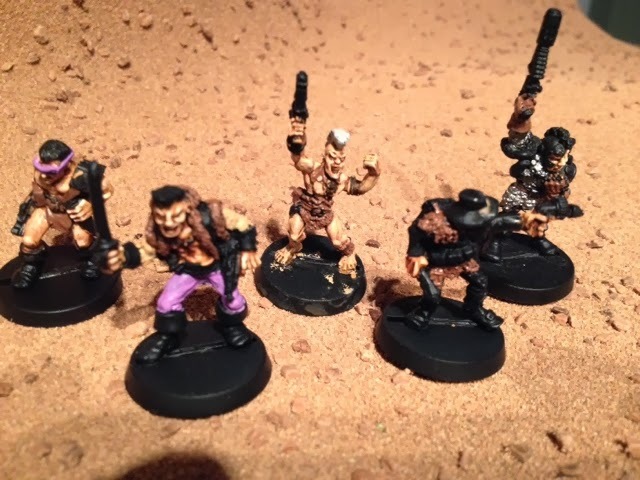 Shortly afterwards I discovered Orlyggs blog and decided to start collecting the mini's for the warband. Things have since gotten out of hand! 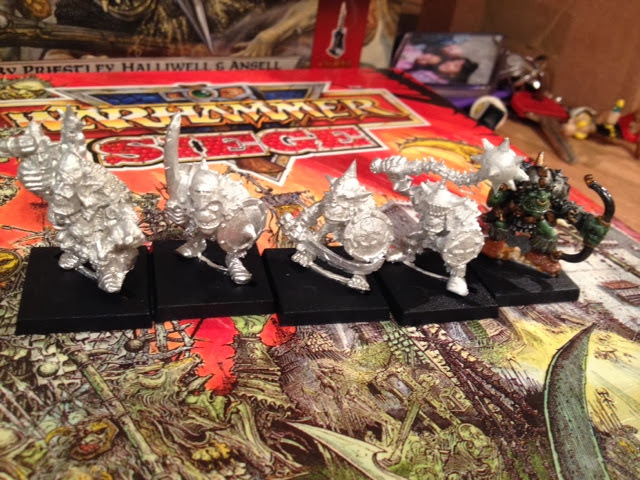 I've collected enough mini's for a decent sized chaos army and this has led to/morphed into a chaos led greenskin army. 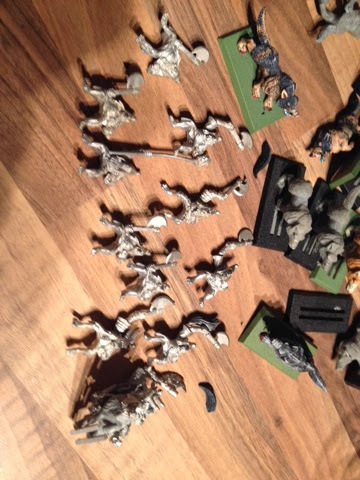 So I've managed to cobble enough hobgoblins together for a couple of regiments (as well as the Black Orcs from last month and the Orcs from a couple of months ago and the soon to be discussed half Orcs). So, enough blethering. Look at my toys! The first unit was actually designed to be a regiment. The mighty Throg and his Hobgoblin Despoilers of the Darklands. I've managed to collect three of the command models and a good number of troopers but I still need the Champion (which you can see in the illo below) as well as about 4 more troopers. I was orignally just going to have them as members of a mixed Hobgoblin regimet but I decided they deserved a regiment all of their own. This next model is from the AD&D range that Citadel produced. There are only three poses but each pose has about 9 or 10 varients. I believe they were sculpted by Aly Morrison who did a lot of citadel's Hobgoblins. I've only got the one just now but if they come along cheap enough I may build a third regiment! The next two guys are also from a regiment of renown, in this case Mighty Ugezod's Death Commandos, sculpted by Nick Lund and released under his chronicle label. 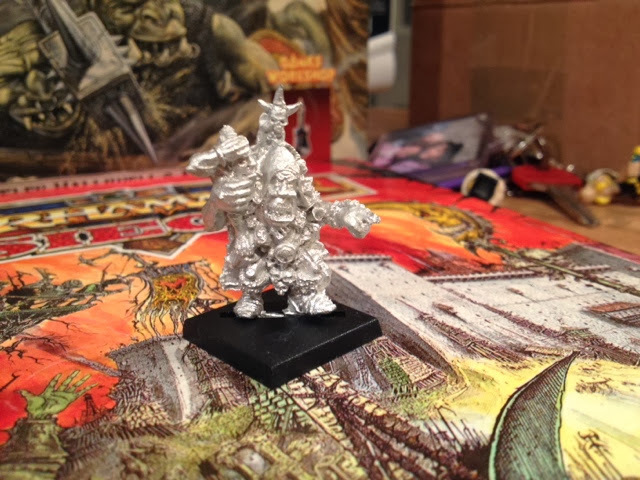 The rest of the regiment, which I believe came as a boxed set, were orcs and goblins but here we have a Hobgoblin Berzerker and Sileth Frothlip. The next three aren't hobgoblins at all. They are Uruk-Hai from the original citadel Lord of the Rings range. I've always liked the middle figure as I remember someone owning it in my youth. I've no idea who sculpted these but I'm sure someone can tell me. I'm going to use them as Hobgoblins cos it's my army and I want to. These two figures are stand alone figures but for different reasons. The one on the left is from the Talisman boardgame and is a lovely little figure that originally came in a blister with a Satyr and a Toad! The second figure comes from the BC2 monsters starter set and so was the only hobgoblin in there. 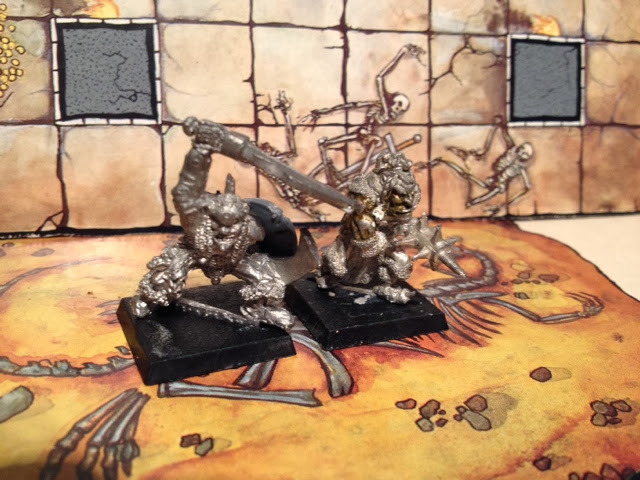 I do have the Goblin and Lesser Goblin from the set as well and may sneak them into a unit somewhere. This next load are all from the same source but are divided by the change over from solid base to slottas. These figures are mostly from C36 Hobgoblin range sculpted again by Aly Morrison although a couple are from the DL2 'deluxe' box set by the same sculptor. These figures were originally released with the solid base but were later redesigned to have the tab base. I've still got loads of these to find (in fact i've got another one that i'm trying to release from a bizarrely tough base) and if I continue to collect then it's a third regiment for me! 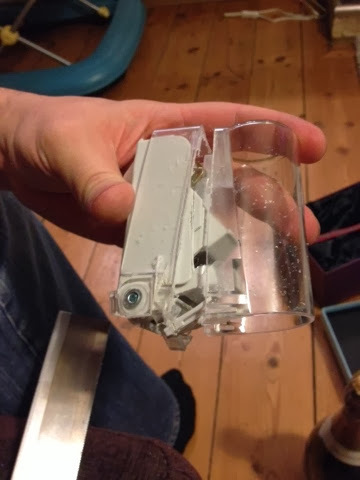 While I'm here I might as well show off an eBay win that i was quite proud of. 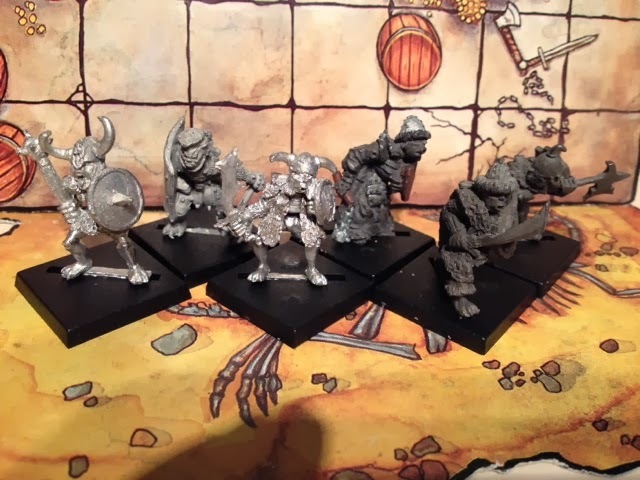 A unit of Hobgoblin wolf riders that generally go for daft money but I actually got them for a reasonable price. These come from the most recent incarnation of hobgoblins from the early nineties. 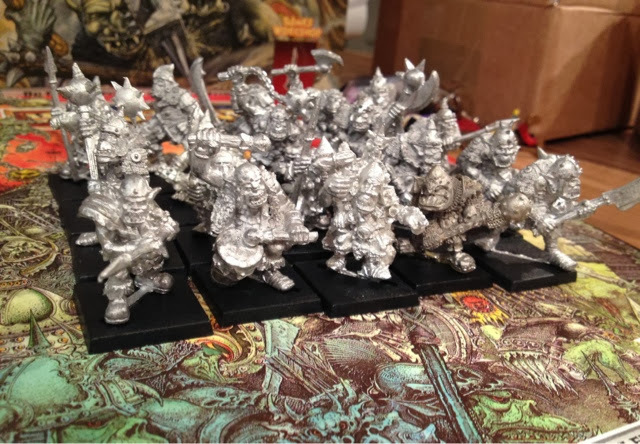 Gw brought hobgoblins back as a slave race for the big hatted Chaos dwarves. Their physiogomy had changed as had their background and for some reason these go for loads more money than the older figures but for me, they have lost some of their uniqueness. So what is it about Hobgoblins? To me, it's about the idea of an autonomous greenskin nation existing in the darklands. These frenzied steppe dwellers occasionally raiding into the human worlds and these bizarre lanky greenskins seem to be more viciously intelligent than their cousins. It's this maniacal intelligence that attracts me to hobgoblins. The idea that there is a plan. And that plan involves causing humies some grief! 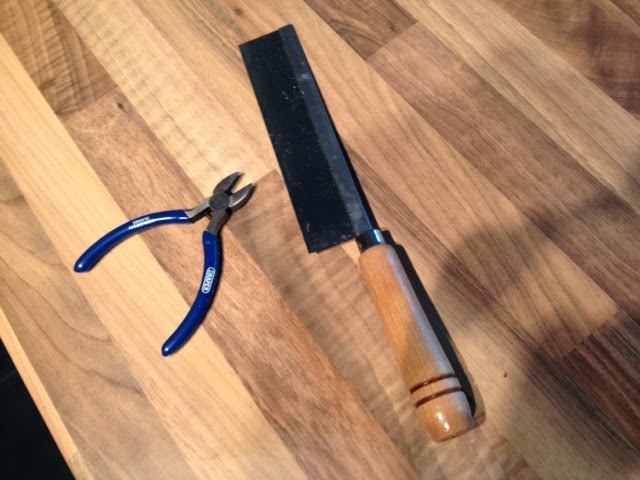 While watching the video of Ian Livingston and Steve Jackson that Orlygg posted on his Realm of Chaos 80's (see right for the link) blog I sat on my arse in the quiet of the house and took some time to myself. But then got a bit bored. So what does any self respecting 30 something do on a Saturday afternoon while everybody is out? 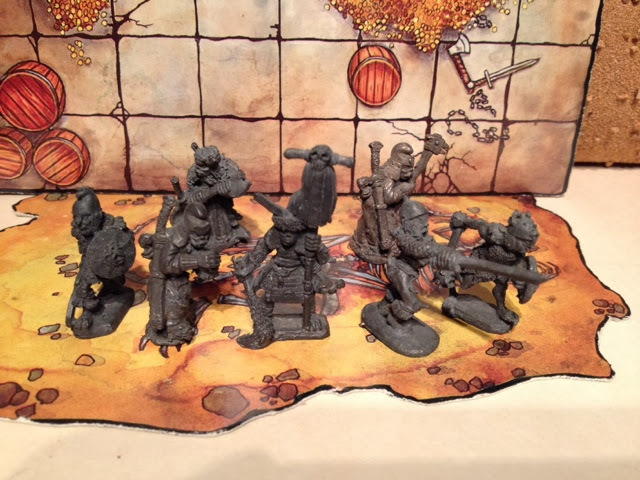 Why paint some miniatures of course! I finally got some time to finish of some more figs for my possibly-may-never-get-played-but-it-keeps-me-off-the-hooch game of rogue trader. May I present to you Kobloth the Kolostomiser and his crew of xenos mercenary scum! Ain't no sneakin' around for these colourful aliens! I also got a start on the next bunch. Humies but a bunch of edge-of-space throwback loony type humies! I've managed to get a lot done this week but there is plenty in the pipe line. 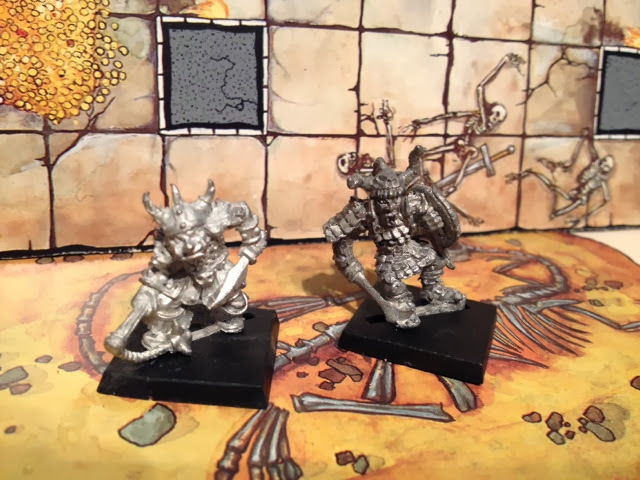 I'm going to do a post about the figures I've collected for my half-orc and hobgoblin regiments and given enough time I'll try and get more rogue trader mini's finished. But first I thought I'd introduce to a figure I finished yesterday while trying to occupy myself while wife was in A&E with the youngest and I was minding the girls (turns out it was gastroenteritis but he's fine). This is a figure I originally built to play inquisitor with but shelved him after I realised that power armoured inquisitors were some what frowned upon. I see him as a bit of a naive brute. The 'nephew' of some high ranking eclesiarch who was taken on as an interrogator in return for a favour. 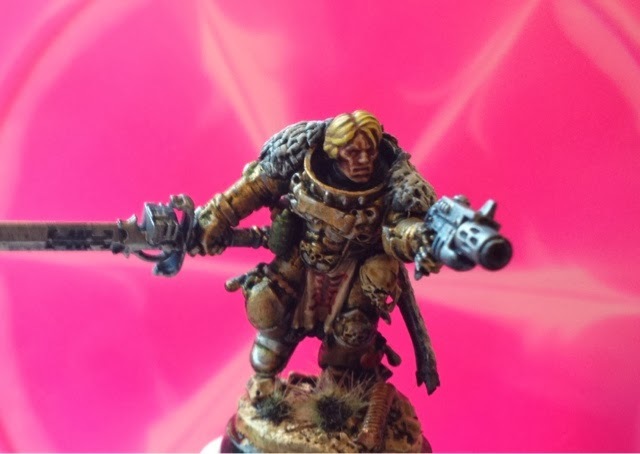 He was never meant to make inquisitorial rank but the unfortunate death of his master and some string pulling has left him as a pain in the ordo's arse. He is seen by many more subtle inquisitors as unsubtle blowhard whose idea of undercover work is to chop the heads off mutants before they can talk. All I need is a name! 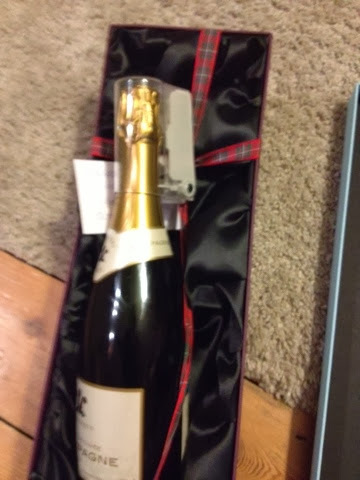 Opening a wedding present from your parents that comes with an extra gift that suggests they may, in fact, be tea leaves! Probably shouldn't have started this after consuming the first bottle of bubbly! Back to the more serious matter of toy soldiers very soon! Regular readers will know that the 'Chaos Army' I'm building for Warhammer 3rd Edition is going to have a load of green skins along for the thrill of battle. I've already built up a unit if black orcs and I'm building up some units of hobgoblins and half orcs (slowly). However I also want some if the traditional greeny-meanies and so I've been keeping an eagle eye out on eBay for some likely lads. What I've ended up with us a series of orcs from four different companies. 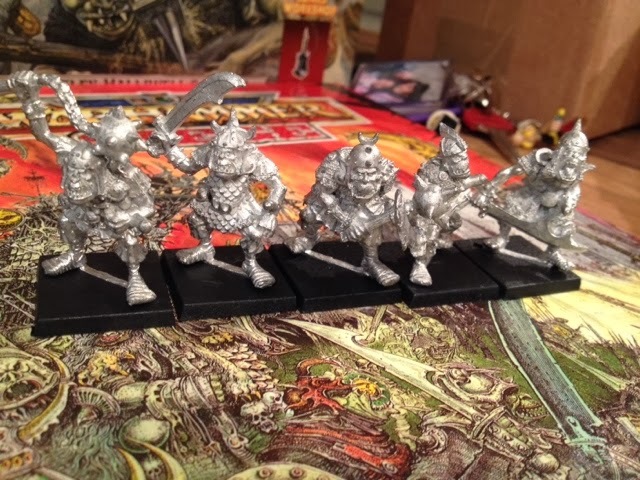 The only thing that bind these disparate goblinoids together is that are in fact, orcs and they were all sculpted by the legendary Kev Adams! 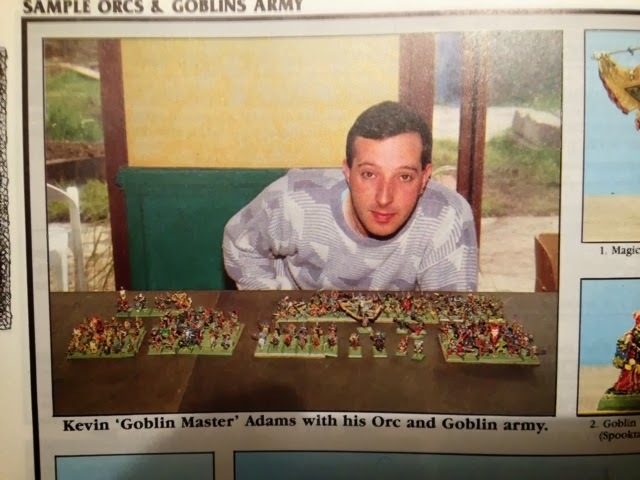 Kev in a page from warhammer armies. 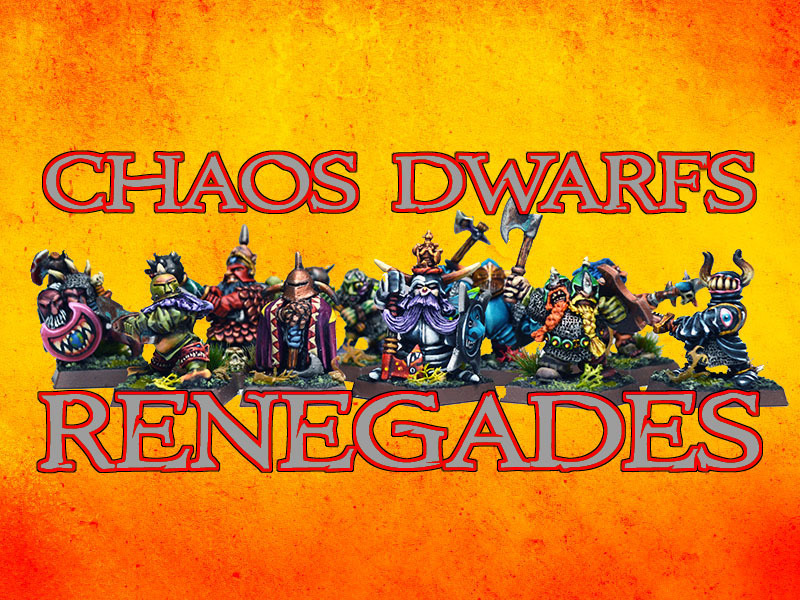 The latest orcs through the letterbox (actually, hidden behind a bin at the back door) are these ones from renegade. I only managed to get these five as renegade have recently closed their doors (apparently temporarily). They are really nice figures with lots of character and apparently they have even more sculpts that were never released so hopefully we'll get to see them again one day. The next lot are from Heartbreaker. 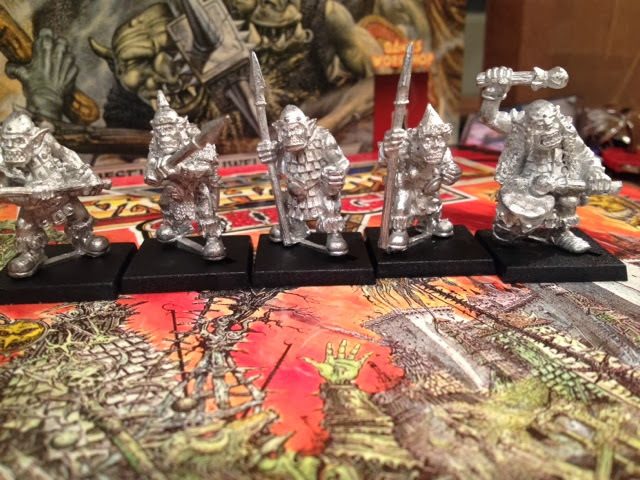 Heartbreaker are long defunct but these figs are still available through ral partha Europe. They are much more diminutive figures and a bit more cartoonish than the renegade ones. However they do have lots of character and I particularly like the shaman with either a grit or an orc pup on his shoulder. 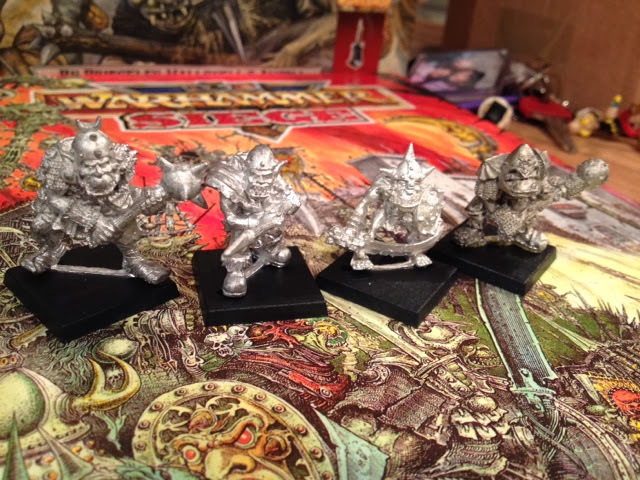 I also got a load of the old Harlequin orcs. These guys are big, lanky and mean. The faces are closer to the renegade figs and they all have big mean weapons and are stalking forward look to bash some stunties. They are still available through Black Tree Design. Now, obviously, we need to see how all this lot go together. Here is, Harlequin, Renegade, Heartbreaker and Citadel. As you can see, there is a fair range of size and body shape amongst the figures. From the Harlequin figures that are as big as Black Orcs to the heartbreaker ones that could pass for big goblins. I was surprised by the difference and, for a while, wrestled with how to put them into workable units. I considered building a unit of big ones and unit of boys or using some as Black Orcs. Thoughts of orcy anthropometric data kept me awake at night. Then I read the what Warlord Paul posted about role-playing your army and in particular, his section about Orcs. This reminded me that Orcs are supposed to come in all shapes and sizes. 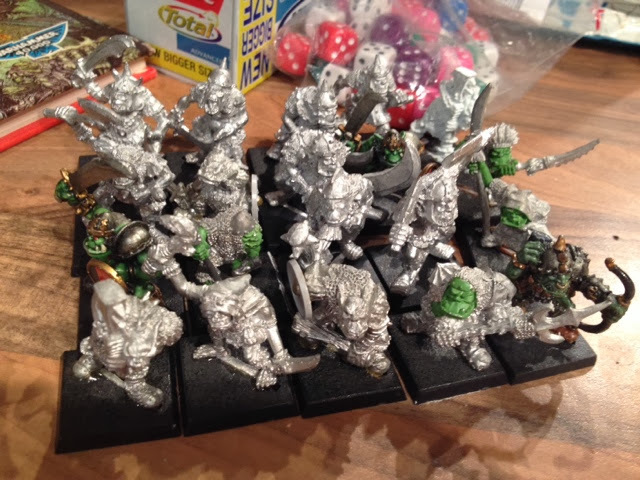 Before GW turned the orc horde into standard sized plastic, orcs varied as much as the common dog! And so I decided that all my orcs, great and small, would be going to war in ragged non-uniform mobs! And I think it works! 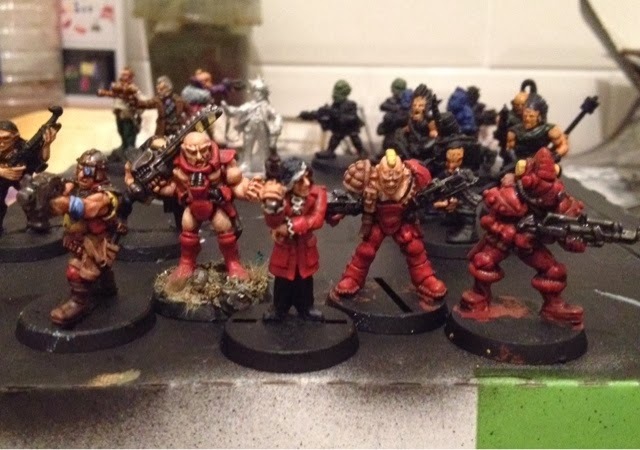 Here's another mob with a load of classic citadel figures mixed in. 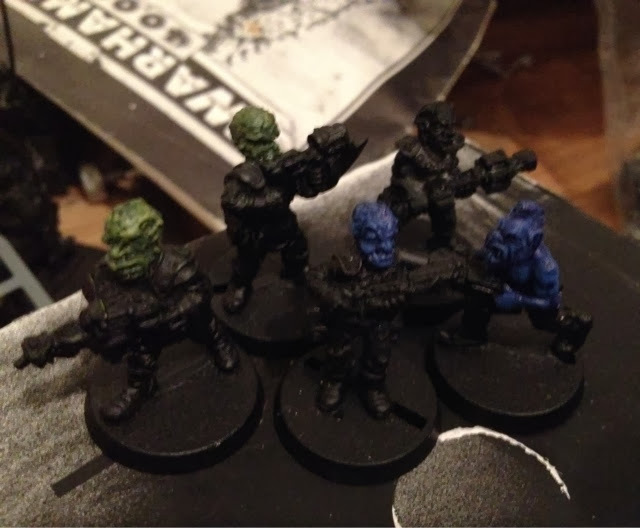 So, my orcs are going to be a ragged bunch of squabbling greenies. Just like they're supposed to be! All thanks to Mr Adams! Here's a quick pick of one of the.....I want to say factions but there must be a better word? Side? Team? Gang? I think of something. Anyway. 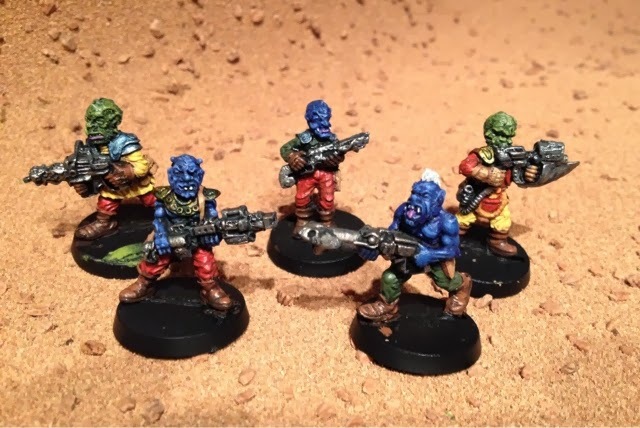 One of the groups that I'm working on in vague attempt at luring some other members of the OGRE faction of the oldhammer network into a game of Rogue Trader at our next get together. So may I present Osiris Klunge and his bodyguards/ minions. The game I'm planing will involve a four way tussle. Essentially there will be something that each if the groups is after and they may not be the same thing as the other players. Each player will have a briefing that will explain why they are there and how they will win. All they have to do is complete whatever it is they need to do without all the other players getting in their way. I see Osiris as a bit of a player. Possibly fronting some legitimate business he nevertheless has lots of dodgier contacts and is not afraid to personally call in debts (obviously the boys make him feel a little bit more secure!) I'll add another five mean looking mercenary types to build them up to 10. I've started to put together a set of companions for the good, erm, Professor. 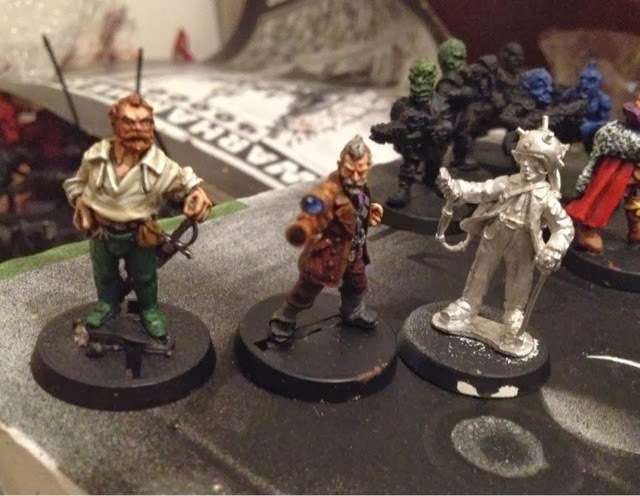 As he is a time traveller I figured he needed someone obviously out of time hence the swashbuckling gent (who has yet to be named) and the other figure is from Lead Adventure miniatures and I reckon I'll play him as a scientist whose invention has invested himself with a random psychic power or two. I've got a couple of abhuman engineers to increase this group to five. 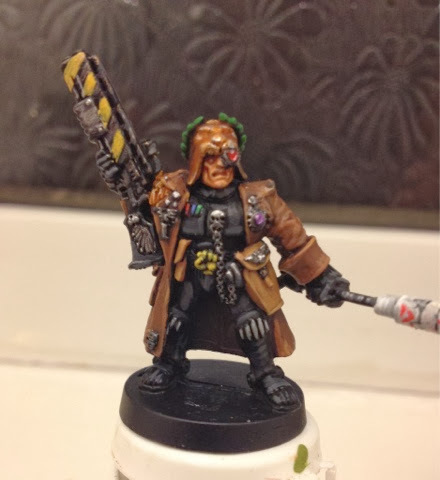 I was going to pair the prof up with these xenos types but I think they look a bit too mean so they might go and back up the Psyker. I might do some other more mysterious xenos to go with the prof!